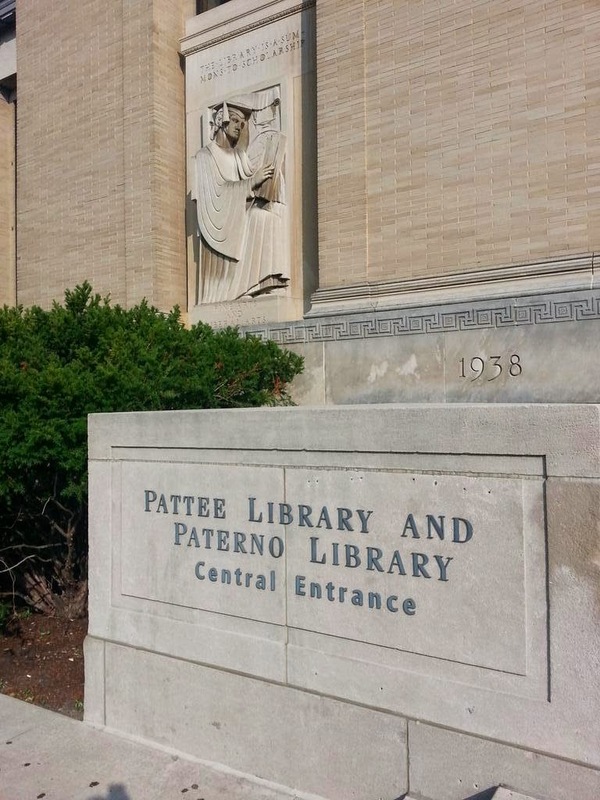 This Wednesday, I experienced a professional milestone: I co-presented a keynote presentation at the second annual PA Forward Information Literacy Summit, at Penn State, University Park, in State College, PA. I am very proud of what Ellysa and I presented, and I wanted to share some of it here. Our presentation was titled, ACRL’s Framework for Information Literacy for Higher Education: Implications for Practice, and the goal of the presentation was to interpret the latest draft of the Framework (June 2014) through the lens of our information literacy instructional practice. This meant of course providing an overview of the Framework: the process through which it is being developed as well as its structure and content. We then identified four implications for practice we identified in the Framework, where we each covered two. Finally, we offered brief remarks containing strategies for implementing the Framework in our libraries. I want to share several things here from the presentation, both for posterity and because I like sharing my work so others may benefit (if any benefit is to be had). First, I’ll share a high and a low from my first experience of giving a keynote. Next, I’ll share some tweets from attendees who live tweeted the presentation. Then, I’ll embed the slide deck from the presentation. And finally, I will share the remarks I read for my portions of the presentation, which were to address two of the four implications for practice (“Collaboration with faculty across disciplines” and “Information literacy as a metaliteracy”) and the strategies for implementation we offered at the conclusion of the presentation. I was told the presentation was video recorded: if the video is posted and made publicly available, I will update this post to include it as well. UPDATE: Here is the link to the video of us delivering this keynote. The video contains both keynotes for the day, and ours was second, so skip to 1:11 for our presentation. High: At one point while I was speaking, as I made a point related to collaboration with teaching faculty leading to a decreased reliance on the one-shot information literacy session, a librarian about my age near the front row of the auditorium broke into applause accompanied by an enthusiastic cheer. A few others caught her enthusiasm and applauded along for a brief moment. It was pretty rad, and definitely a first for me! The second implication for practice we’d like to explore with you today is how the Framework enables collaboration with faculty across disciplines. As a flexible Framework for teaching and learning information literacy, this document invites collaboration between librarians and teaching faculty in ways that the Information Literacy Standards did not. The Framework emphasizes the “vital role of collaboration and its potential for increasing student understanding of the processes of knowledge creation and scholarship" (Draft 2, June 2014, p.30). In fact, in the June 2014 draft of the Framework, collaboration is mentioned twenty-nine times in around as many pages, illustrating the extent to which it is prioritized. One way the Framework enables collaboration is through the use of a threshold concept approach to information literacy. This approach not only encourages, but demands conversations with faculty around threshold concepts in order for these concepts to be effectively taught. Threshold concepts by their very nature must be developed and mastered over time, since a student can approach the threshold for an important IL concept without actually crossing over. This approach toward understanding will occur in many courses, through many learning activities, and in multiple learning contexts, both inside and outside the academic classroom. In order to successfully facilitate students’ approach toward, arrival at, and crossing over the threshold toward understanding and mastery of these important IL concepts, we librarians must reach out to teaching faculty and begin a conversation about what these concepts are, how they work in practice, and ways both librarians and traditional course instructors can design instruction to develop in students an understanding of these concepts. Once we initiate these conversations, the next goal we should be aiming for is the integration of information literacy throughout the curriculum. For students to successfully develop understandings of these ‘big picture’ concepts for IL, they need to engage in learning activities designed to develop these understandings in multiple learning contexts, throughout the curriculum and even outside it. A threshold concept approach to IL challenges our professional reliance on the ‘one-shot’ model of information literacy instructional programming. The Framework creates a need for deeper integration of information literacy into students’ courses and programs, such that students will be able to transfer information literacy knowledge, skills, and behaviors between contexts. This transfer of knowledge, skills, and behaviors is more likely to occur when students are instructed in them in a scaffolded manner throughout the curriculum, and our role as librarians is to facilitate this scaffolding. If threshold concepts for information literacy are so complex that they must be integrated into the curriculum in order to be taught, an important but controversial question arises: In what ways can we share responsibility for information literacy instruction with our colleagues in other disciplines? I am an advocate for embedding information literacy so deeply within courses that it is possible the librarian will no longer need to offer targeted instruction to those courses. This can occur through collaborative assignment and even course design at the level of student learning outcomes. It can also occur through an embedded library instruction model designed to, over time, ‘teach the teacher’ in how to teach the things historically allotted to the librarian alone. This model is not a good fit for all courses, particularly those with complex material in the content area of the course, but inviting course instructors to participate in your information literacy instruction as co-teacher can go a long way in decreasing the reliance of that course on you, the librarian, so you can then target other courses in which to do the same. When deep collaboration occurs between librarians and teaching faculty, information literacy will be present in the course even when the librarian is not. The Framework provides for us the mindset, language, and rhetorical position from which to make the case to both teaching faculty and administrators that this kind of integration benefits students, both in their learning and in their formation into critically informed citizens and persons in society. The final implication for practice we are offering today is the understanding within the Framework of information literacy as a metaliteracy. which means learners are now information creators, curators, and sharers, in addition to the more traditional roles the Standards articulated. in order to constantly improve and strengthen their ability to thrive in this new environment. and requires “critical self-reflection, as crucial to becoming more self-directed in that rapidly changing ecosystem” (Draft 2, June 2014, p.2). So if the Framework conceives of information literacy as a metaliteracy, the question for our IL instructional practice is, What are the pedagogical opportunities that arise as a result? One opportunity comes from the fact that information literacy is now situated in participatory digital environments such as social media and networking sites. Platforms like Facebook, Twitter, Instagram, and Pinterest are shaping the way students encounter, understand, interpret, and use information in their everyday lives. When they attempt to conduct research in traditionally academic environments like databases and OPACs, one way to help students successfully transfer between the two is to make connections between these academic information environments and the participatory ones they are accustomed to. In what ways are the environments similar? In what ways do they differ? Can you build learning activities through which students can experience these similarities and differences first-hand, and then discuss (metacognitively) what they experienced, in the community of your classroom? How else can we use participatory digital environments as a lens through which to illuminate and facilitate the research process for and with students? Because of the proliferation of these participatory digital environments, students are now knowledge creators. This is of course in addition to the traditional roles they have always filled in relation to information. But the power to click “publish” across the web has eliminated the barriers to knowledge creation that existed before. How can we harness this power in our IL classrooms, perhaps by utilizing platforms like YouTube, Twitter, and blogs as tools for knowledge creation? Can we empower students to contribute their voices to the discourses and conversations that matter to them, while yet developing in them a disposition toward responsibility that comes with this power? Might we also help students make connections between the academic work they produce for their courses and their role as creators of knowledge? Metacognitive reflection not only can, but should be featured as a learning activity. By learning activity I mean in-class activities and assignments: two things librarians can influence in relation to information literacy instruction. Metacognitive reflection as learning activity can take many forms: blogging, tweeting (yes, tweeting offers an opportunity to metacognitively reflect on one’s thoughts and ideas, and the thoughts and ideas of others), in-class discussion (which could be either synchronous in-person discussion or asynchronous discussion taking place in online learning environments), or good old fashioned pen and paper responses to reflective prompts developed by you, the librarian, and designed so students must reflect on their own learning and research processes in order to respond. Metacognitive reflections like these will go a long way toward assessing whether a student has achieved understanding of the threshold concepts for IL, making them a valuable tool in our collective toolkit as we embark on putting the Framework into practice at our institutions. We’d like to conclude with brief remarks on strategies for implementing the Framework at your institutions and in your information literacy programs. Throughout academic year 2013-2014, my library colleagues at The University of Scranton and I have been fortunate to attend professional development opportunities related to the Framework for Information Literacy for Higher Education. At one such event -- the Connecticut Information Literacy Conference -- the theme for the day was “Our New Frontier: Metaliteracy, Threshold Concepts, New Standards, and Other Wild Ideas.” In the closing panel, librarians from Trinity College in Hartford, CT, each presented ways they have used the Framework in its draft form to identify intersections between the Framework and work they are already doing in their information literacy program. In this way, at Trinity College the Framework served as a lens through which to understand in a new way the things they are already offering by way of information literacy instruction. I was struck at how respectful and, frankly, intelligent this approach to implementing the Framework is, in the earliest stages of implementation. Rather than feel pressured to overhaul an entire instruction program overnight -- or at least, before the old Standards are sunsetted by ACRL -- I am inspired by Trinity College to instead use the Framework as a new way to understand the things I’m already doing on both the individual and programmatic level in my library, and I encourage you to do the same. Related to this first strategy for implementation is the second I’d like to offer: approaching the Framework as providing new language and concepts to communicate what you do and how you do it. Listening to librarians at Trinity College present about their Spring 2014 information literacy projects in instruction, outreach, and assessment, using the language and vocabulary of the Framework, was very impressive as a conference attendee -- especially since the conference was in June of this year, mere months after the first draft of the Framework had been shared with the profession by the Revision Task Force. But as impressed as I was, I also observed that what they had done was not so difficult that I couldn’t do the same if I put in the work of mapping the student learning outcomes I’ve been teaching for years to the frames that form the backbone of the Framework. Once mapped, an entire new set of terms and concepts would be at my fingertips, with which I could then communicate my information literacy instructional outcomes in my annual reports, my assessment reporting, my personal narrative for the purposes of peer evaluation and performance review, and any number of other channels through which we share what we do with others. And finally, once these first two strategies are applied, the third is likely to follow: understanding the Framework as a process through which to transform the goals you set for your information literacy instruction and programs. I truly believe this Framework’s greatest impact will be on our own professional thinking in relation to information literacy instruction, pedagogy, and design, collectively as a profession and individually as information literacy instruction practitioners. As our thinking shifts, so will our programs and instruction. And in this way the Framework is poised to transform both our thinking and practice of information literacy in our libraries and institutions.